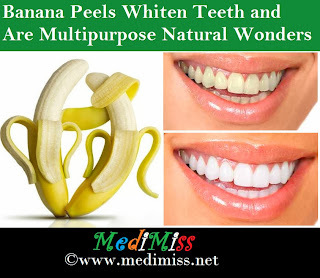 Banana peels are natures amazing wonder that will safely whiten teeth and do many other things because of the rich mineral and vitamin content in them. 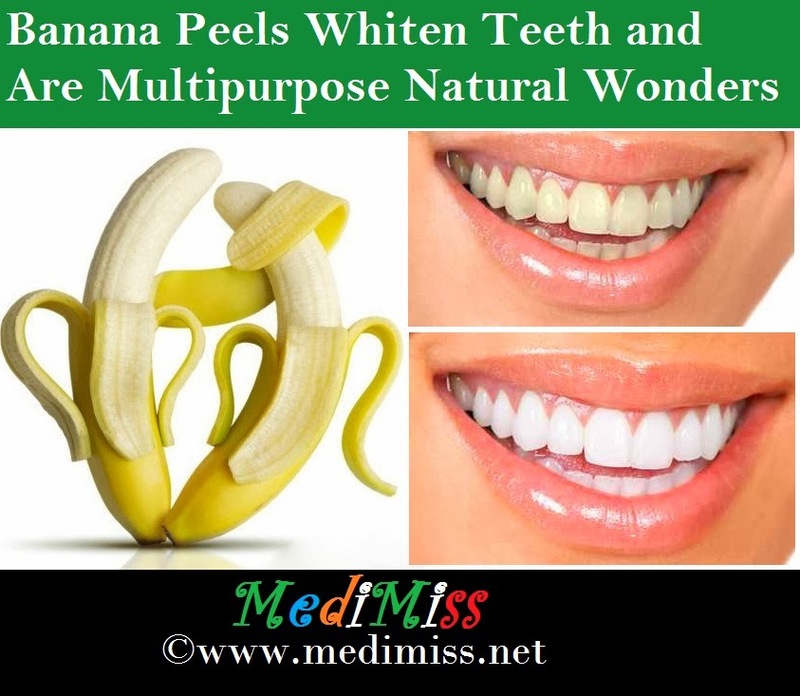 The next time you eat a banana, don't be too quick to throw away that skin, take a minute and rub it on those want to be pearly whites! So what's in a banana peel? Bananas and their skins are loaded with the minerals: potassium, manganese, magnesium and vitamins B6, folate, C, A, niacin and riboflavin. They also have smaller amounts of: calcium, iron, copper, zinc, selenium, phosphorus, thiamine, A, E, and K. They are native to Southeastern Asia but are grown in over 100 countries and are eaten raw and cooked. What are some of the other uses for banana peels? Fertilizer and Bug Repellent: Skins can be spread around the bottom of plants and roses, slightly under the dirt as fertilizer and a repellent to pesky, little aphids. Pain Reliever: People have put the peels on a minor injury of the skin or area of pain and found relief for that pain. They are placed on foreheads with great success to relieve headaches due to the minerals in them. This may not look too cool at the office, though. Mosquito, Bug Bites and Itching: Rub the peel on a bug bite, poison oak or ivy for pain and itching and get instant relief. Remove Warts: Tape the inside of the peel to a wart to slowly kill it. Keep all house pets at a distance if they have a hankering for bananas, my dog loves them! Face Mask: This is one I do often after using it for my teeth. I take the rest of the peel and rub it on my face and leave on for 10 minutes for a healthy, anti wrinkle mask for my skin. I think I've seen the monkeys at the zoo using them for this, too. Shoe Polish: Rub the inside of the peel on a shoe and dry off for a great smelling shoe shine. Do you use the inside or outside of the peel?